Isabella (being her birth name) was born a slave in Ulster County, New York, in 1797. She was sold for 100$ at the age of 11, with a flock of sheep. Her owner beat and sexually abuse her for years. She never learned how to write because she was a slave. She married a slave named Thomas (no last name given) and had 5 children, Diana, Peter, Elizabeth Sophia, and the fifth one died as a baby. Isabella was sold to five different owners before she gained her freedom in 1826. 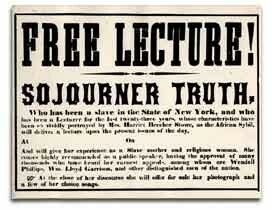 Powered by her religion, she changed her name to Sojourner Truth in 1843. She traveled around the country and preached about the rights of humans. Her Grandson traveled with her (until he died at the age of 24) reading and writing for her. She met other abolitionists from that time in her journey, such as William Floyd Garrison and Susan B. Anthony. 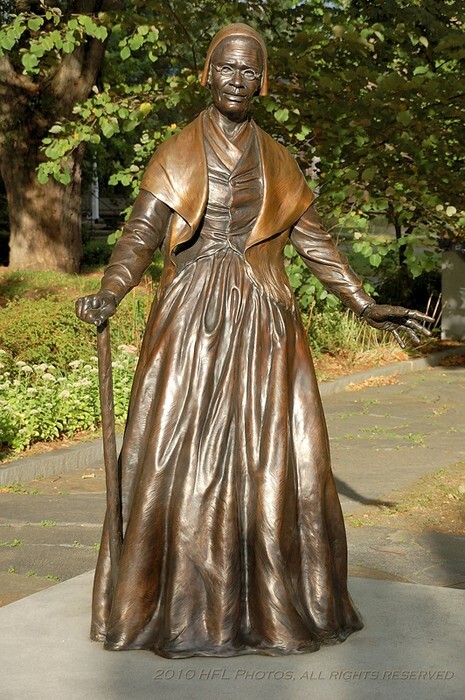 She made money by selling portraits and her book, The Narrative of Sojourner Truth, A Northern Slave, written by Olive Gilbert in 1850. Both Harriet and Sojourner had a great effect on giving rights to African Americans and helped them earn their freedom from slavery. Sojourner Truth made a speech called "Ain't I a Women". 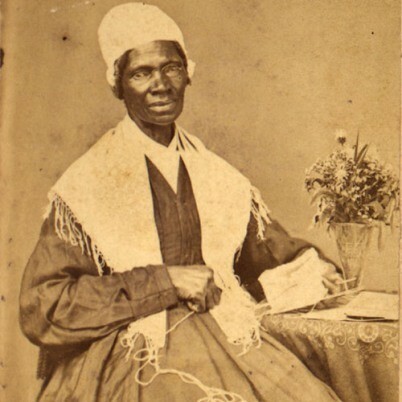 Sojourner Truth made money by selling her pantings. 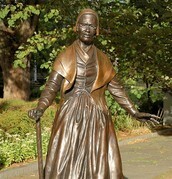 There are statues of Sojourner Truth all around North America.